Logan Blvd. Gem - Gracious Living/Dining Room with slate fireplace flanked by original oak built-ins with opening to front terrace. Original moldings, hardwood floors, kitchen features granite counters and stainless appliances, new in-unit washer/dryer, new California Closets, new rear steel porch and front door. Central AC and detached garage. 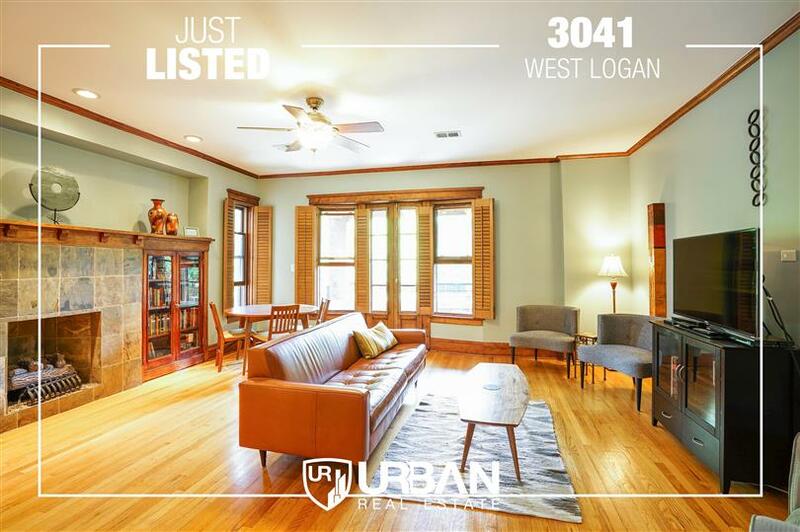 Close to Blue Line, Farmer's Market and all the great Logan Square amenities.